Walking With Purpose Opening Your Heart. Part 1 Beloved. You are trailblazers, hope igniters, and grace givers. You are beloved. 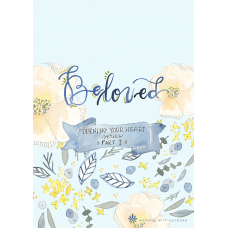 Beloved is part one of our three-part young adult series. This six-lesson bible study invites young women to lay a strong foundation for our true identity as beloved daughters of God. 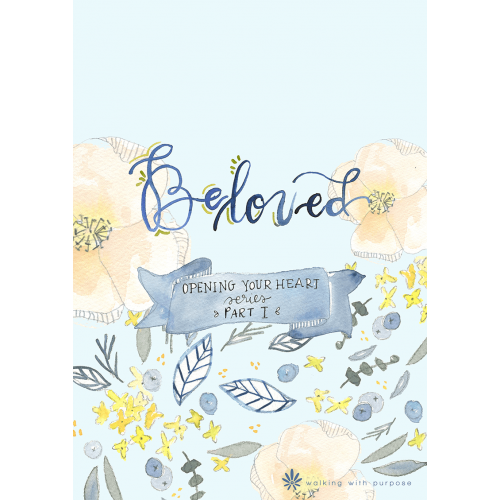 Beloved can be used to personally build your knowledge about Scripture meditation and prayer, or you can gather your tribe and begin the journey to deeper friendships and fruitful truths. God’s love for us is relentless and He calls us to a life of purpose. As we lean into Him, we’ll learn that nothing in our lives is wasted. When we discover who we are in Christ, it makes all the difference in the world.